Home » Why I love coffee, and you should, too! Why I love coffee, and you should, too! My name is Kenneth from PurelyCoffeeBeans, and I love coffee; so I’m on a quest to find, buy, and even consume the best coffee brands and beans in the world. Then I plan to make the best coffee drinks I can! I will happily share my results with you, too! I’ve been building blogs and websites for about 12 years now, and finally I decided to build this site because coffee has been my constant companion all that time! That’s pretty much when I decided to come out and declare to the entire world: “I love coffee!”. Some of you may notice that my *ahem* English isn’t typical… for that I can only mention, in my defense, my being from Britain, the northerly part, where the wind blows something fierce, and a cup of decent coffee is the best defense against the winter chills! Of course, my fellow Scots would claim that the local tipple is much more appropriate for the inclement weather… Since I love coffee so much, I can’t even bring myself to say the W-word…! But coffee has been in my hand since the heady days of University, when Luvian’s Ice Cream & Coffee Shop opened, selling coffee, ice cream & (I remember) nice chocolate! While I’m still fond of the ice cream & chocolate, my taste in coffee has really matured into something of an obsession! Why I love coffee so much! 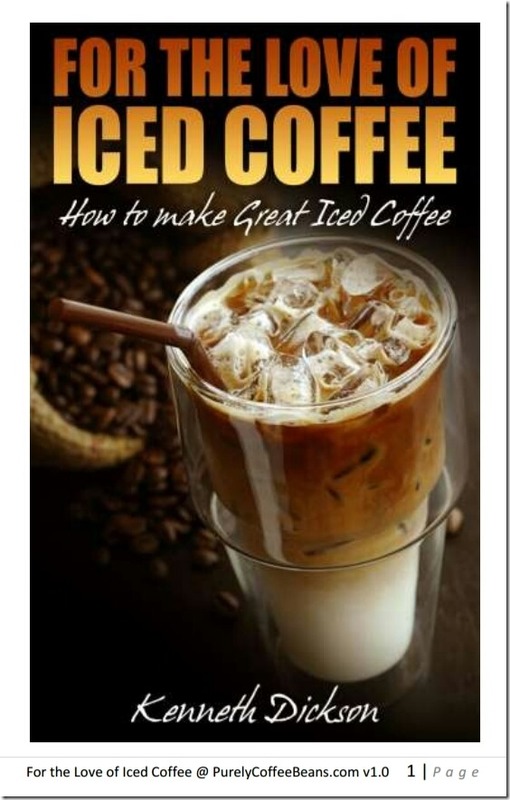 Over the years, I have bought dozens of coffee making appliances, hundreds of varieties of ground coffee and coffee beans (some great, some best forgotten), thousands of cups of coffee in restaurants in many countries. I enjoyed some of the great GuKeng Coffee of Taiwan, which was rich and very chocolaty; the strong coffee of Mysore; and even a few much closer to home! Right now, I have a hot cup of freshly made coffee, made with delicious beans from Sumatra, ground and made by myself. It’s a large cup with a generous splash of milk. The beans are darkly roasted, fairly large and a decent quality. In my cupboard, I have two other kinds of coffee waiting my attention: a large bag of Kirkland’s Espresso Beans (unground, of course), and a vacuum pack of Folger’s Half Caffeinated Ground Coffee that I hadn’t seen before. I’m running short of coffee these past few days, though at work we have several bags from a recent trip to Costco. At home, I have only a few precious ounces of freshly ground Caffe Verona. And, as my wonderful wife will gladly tell you, if I get a bad cup of coffee, I can be a real pain in the neck! In fact, if you EVER see me adding sugar to the coffee, you’ll know that’s a bad cup of coffee, because I usually drink it with a little milk or cream only! There are times though when I won’t even bother with the sugar, and simply send it back. Then it’s AWFUL! So, I’m looking for the best, delicious beans I can find; and I’ll gladly share my coffee success and (*ahem*) disasters with you all. Stay tuned, keep your grinders at the ready, your fresh cold water to hand, and a clean coffee machine by your right (or left) hand. I’ll help you decide what coffee bean to use next. The PurelyCoffeeBeans.com writers. Well, you know who I am. But this coffee site is the result of the hard work from several coffee-infatuated writers, including Betty Zeigler (the founder of Espresso-and-Coffee-Makers.com), Chris Zeigler (the previous website owner), several other writers are going to have their work featured here, and perhaps even you! Some of the pages in this ‘about’ section, you are also able to find some more coffee articles, coffee resources, and even check out our coffee gallery! And don’t forget to sign up for our coffee newsletter before you leave! Oh, and if you have a question about coffee beans, coffee makers, or other coffee-related matters, check out our coffee faq. If you can’t see your question there, why not drop me a coffee question, instead. I’ll do my best to answer it!